Poll: How are you enjoying the new Axe Augment: Decapitate? Poll: HOw is the Defiled Flame Residue Adjustment working out? Poll: What feature are you waiting for the most? !*!*! * Please Read 2nd Post for Detailed Infomation *!*!*! Forge: Default Item Ids 24600-24654. Default Block ids 2650-2662. Changeable Config file included. 1. Be sure Forge API is installed in your Minecraft.jar and Meta folder is deleted. 1. Be sure Forge API is installed in your Minecraft_Server.jar "DO NOT DELETE Meta Folder"
Biomass yields x 2 harvested on full grown plants. Generator longevity: Full Soulkeeper (20 souls) installed allows generator to last about 8 - 10 days. The total coverage the Spectral Phase Generator is a 30x30 cube. Future Content: As Minecraft continues to grow, so will Harken Scythe. New ideas are always bouncing around. [Livingmetal Golems] Progress [0% Finished]: Animation of Livingmetal Blocks to walking giants. [Soul Device] Progress [0% Finished]: Allows Soulkeepers to power machinery or other useful devices. [Soul Collector] Progress [0% Finished]: Place in a graveyard to slowly acquire the souls of the wandering. Special thanks: A deep thank you to anyone that shows support! AnonymousProductions: For some coding support "TileEntity Packets"
glider521al: For some coding support "Custom Enchants"
ScropioDan: For an In depth Mod Review! MinecraftUniverse: For a well thought out Mod Review! The Atlantic Craft: For Excellent Mod Review! SirLagAlot & EnergyGod5: For a tagteam Mod Review! TCTNGamiz: For an around-about Mod Review! EditZP: For a spectacular Mod Review! JohnVoiden: For an insightful Mod Review! chezzjoe: For bouncing ideas around the thread! Forge And Minecraftforum Community: For all the help, support, and over all great people. 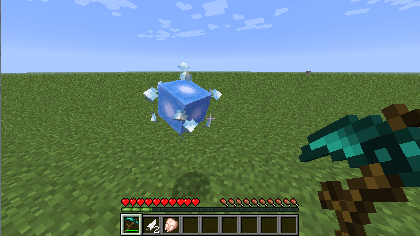 1.5.1 Harken Scythe v2.1.2 Released: Asgard Shield, Spectral Miner Torch, and Harbinger update. 1.5.1 Harken Scythe v2.0.6 Released: Lost Soul Spawn/ Despawn Patch. 1.5.1 HarkenScythe v2.0.6 Released: Harvest Moon Event and Lunar Clock Update. -Bug fix: Livingmetal Blocks now turn into Livingmetal Ingots x 9 Correctly. 1.5.1 HarkenScythe v2.0.5 Released: Spectral Dye and Spectral Miner Update. 1.5.1 HarkenScythe v2.0.2 Released: Livingmetal Update. -Crucibles now render the correct amount of soul and blood. -Souls now remember which mobs they used to be upon death. -Talismans are creeper proof, they no longer trigger upon every explosion!! Do not redistribute any form of this mod with other download links. 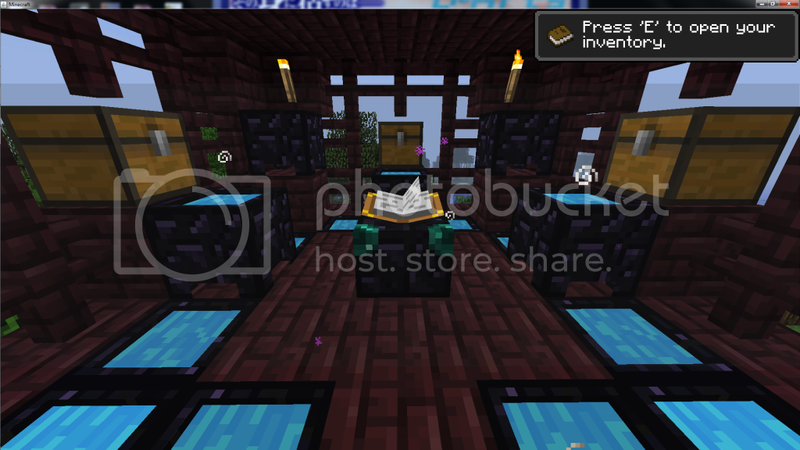 Any shared links must be from the Official download addresses found on "http://www.minecraft.../#entry18560927". All unauthorized links will be reported! !*!*! * Please Read this Post for Detailed Infomation *!*!*! --General: Eat souls or drink blood from keepers to receive helpful(harmful) effects. ---General: Displays current consumed soul or blood amount and current potion rank. ---Potion Rank: Every 5 units yields +1 to potion rank, max rank is 4. ---Soul Display: Is found on the left side of the Potion Rank Number. ---Blood Display: Is found on the right side of the Potion Rank Number. ---Consumption: Player eats 1 unit of soul at a time from a keeper. ---Main Effect: Applies 1 random helpful or harmful potion effect on player. ---Side Effect: Applies Hunger rank 0 on player. ---Duration: Is based on +10secs per soul consumed. ---Consumption: Player drinks 2 units of blood at a time from a keeper. ---Main Effect: Applies Strength potion effect and heals 1/2 heart per blood consumed. ---Duration: Is based on +5secs per blood consumed. --General: Customizes Amulets and Talismans towards Soul or Blood usage and special perks. ---Crafting Table: Use Soul/Blood Keepers/Vessles + Amulet/ Talisman to Attune. ---Limit: Only non damaged items can be Attuned. ---Soul/Blood Altar: Place Amulet/Talisman into the Altar to Attune it. ---Limit: All items can be Attuned even if damaged. ----Soul Attuned: Doubles soul cost, removes blood cost, and Health regen + Movement speed for 30sec. ----Blood Attuned: Double blood cost, removes soul cost, and Strength + Resistance for 30sec. ----Soul Attuned: Doubles soul cost and removes blood cost. ----Blood Attuned: Double blood cost and removes soul cost. --General: The process to grow Biomass for Equipment and Armor. --1. Craft a Bowl of Creep. --2. Place creep onto a soulsand block,by right clicking the top surface of the soulsand, This creates a Creep Block. --3. Till the Creep Block with a Glaive, by right clicking the top surface of the Creep Block. --4. Craft a Biomass Seed. --5. Biomass Seed now must be Germinated by placing it in the Blood Altar. Cost 10 Blood. --6. Plant the Germinated Biomass Seed into the creep block, by right clicking the top surface of the Creep Block. --7. Let the plant grow naturally or use a Bloodkeeper/Vessel to soak the ground with blood. Blood allows the plant to grow 5 times faster then normal for one growth stage. --9. Harvest the plant like normal crops for Biomass Material and a Biomass Seed. Use a Scythe to gain bonus Biomass Harvest. --General: This process the player to turn a soul into a Spectral Pet. --Spectral Pets: Are like their living counterparts however they protect their master. ---Tame: Right click with a Creepball to tame a newly Risen Spectral Pet. ---Sit/Follow: A toggle while bare handed right click. ---1. Create a Soul of a creature by Reaping it with a scythe or killing with a Soulsteal Augmented weapon. ---2. Stand within 3 blocks of the soul/ souls (Multiple souls can be ReAnimated at a time). ---5. Feed the Spectral Pet blood if the player wished to extend the spawn life of the pet. ---6. Enjoy your new found companion. -Essence Keeper: An empty Keeper ready to be filled with Souls or Blood. -Essence Vessel: An empty vessel ready to be filled with Souls or Blood, Stores more then Keepers. -Soul Vessel: Used to store 40 souls. -Blood Vessel: Used to store 80 Blood. -Book of Carnage: Used to create an Altar of Blood. -Necronomicon: Used to Re-animated fallen souls. -Necronomicon Page: A missing page to the Necronomicon, Collect 5 pages to craft the Necronomicon. -Creepball: Crafted with Rotten Flesh x 4, Spider Eye x 4 and 1 Slimeball. Used to place creep on soulsand. -Biomass Seed: Crafted with a Fermented Spider Eye and Nether wart. Must be Germinated in the Blood Altar. -Germinated Biomass Seed: Plants Biomass on top of creep that has been blooded. -Spectral Dye: Used to dye leather, Soulweave, and Bloodweave arm set invisible. --General: Used to draw blood from bleed-able targets. --Basic Attack :Stab- Strike a target for minimal damage. --Charge Attack: Impale- Thrust forward piercing all targets in front of player, causing the target(s) to bleed. --Material Quality: Better the material used to craft, more blood is drawn from targets. --Used to till Creep Blocks for Biomass farming. (Right Click). -Bloodweave Armor Set: Armored crafted from Bloodweave Cloth. ---Rank Bonus: +1 potion rank per armor piece worn. ---Duration Bonus: + 5sec per armor piece worn. 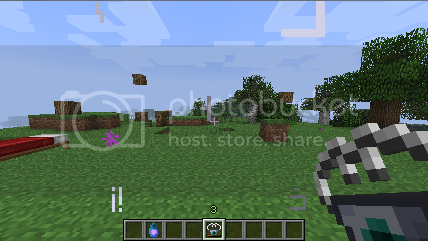 ---Added potion effect: Movement speed Rank 1, same duration as Strength effect. ---Health Heal: + 1/2 heart is restored while drinking. -Biomass Equipment and Armor: crafted from Biomass. -Stats: Same as Iron, slightly lower durability. -Special: Repairs durability each time the Player gathers blood with a Keeper or Vessel. -Repair Amount: Based on Blood Color that is collected. --General: A required Cauldron type block that powers the Altar of Blood with stored Blood. --Usage: Is filled with blood by right clicking with a Bloodkeeper in hand. 10 units at a time. --On Break: This block spawns a Hemoglobin mob which is worth the amount of Blood the crucible had stored. --General: A required blood to practice the arts of Blood work. Is powered by filled Blood Crucibles. --Usage: enhances items that are placed inside. Costs Blood. --General: Blood that has been drawn by a Glaive. --Usage: Right click on Larger pools with a keeper to gather 1 unit of blood. 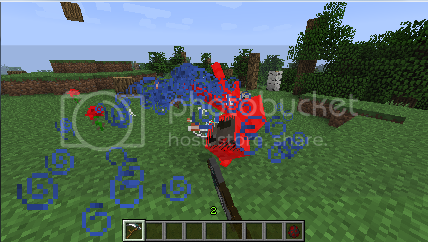 --Colors: Different colors of blood can be shed by different types of mobs. --General: Used to craft Bloodweave Armor Set. --Crafted: Created at the Blood Altar for 10 blood + Wool. --General: Used to nurture Biomass Plants. --Crafted: Created by a Bowl of Creep with a Soulsand Block. 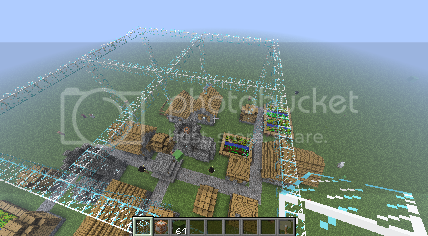 --Growth: This block can spread onto close by Soulsand Blocks. --General: Used to grow Biomass. --Growth: Only grows on Creep that has been Tilled and Blood-soaked. --General: Applies Poison effect which lasts 5/10/15 seconds to Living bleed-able targets. --General: 10/20/30% on target death to create an Mob Egg of its type. --General: Random Augment is applied to a Book..
--General: Revengeful seeking souls out to attack the player. --Spawns: From partly filled Soul Crucibles upon destruction. --Special Purpose: These slimes contain the souls that was in Crucible, right click with a keeper in hand to collect it!! --General: Revengeful seeking blood out to attack the player. --Spawns: From partly filled Blood Crucibles upon destruction. --Special Purpose: These slimes contain the blood that was in Crucible, right click with a keeper in hand to collect it!! --General: A fallen miner in search of the cursed Diamond gemstone. 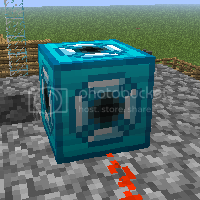 --Special Purpose: Theses miners can drop many random Miner related items and Spectral Dye. --Specialties: Can only be damaged by a scythe or Soulsteal Augmented weapons. ---Spawns Ectoplasm as it takes damage. Ectoplasm is how to gain Soul loot. --General: Souls of fallen Miners. --Special Purpose: Try to collect or ReAnimate me!!!! --Have been changed from Items to Entities in the game, The player can collect souls with a Keeper. --Stores the type of mob the soul was formed from, used with the ReAnimate System. --Reap Ability: Spawns soul entities upon target death. ---No longer deals damage to tamed pets, long as the pet is not attacking the player. ---No longer can acquire souls from child targets. --General: Now show the current number of Souls or Blood on item hover. --Function: Better control on filling. Partly filled Soul/Blood keepers are filled first, then Essence Keepers. ---Is used to fill Soul/Blood Crucibles. 5(soul)/10(blood) units at a time. ---Can be used in Soul Feasting and Blood Drinking. --General: Books are more difficult to create and require pre-gathering of Souls or Blood. --Crafting Recipe: Has changed to include, a full Soul or Blood Keeper, a feather, a book, and a gold ingot. --General: Are now filled by via Soul or Blood Keepers. 5(soul)/ 10(blood) Units at a time. --On block destroyed: All Souls or Blood stored will seek revenge!! Be sure to collect them the correct way or risk loosing your hard earned resources for good, by right clicking with a Keeper in hand. --Rendering: The old Enchantment book has been replaced with the new renders of "Book of Shadows" and "Book of Carnage". --General: All Entities can now use Augments!! ---General: 10/20/30% chance on hit to cause the mob to bleed amount of blood based on Rank. --General: Old Lich Augment renamed to Blight. --General: All amulets can be attuned. --Ethereal Amulet: Cost has been lowered and can work in all dimensions. --Nether Amulet: Cost has been lowered and only works in the Nether. ---Teleporting: No longer teleports player back to Nether Portal. Now takes player back home. -Soulweave Armor Set: Armored crafted from Soulweave Cloth. ---Duration Bonus: + 15sec per armor piece worn. ---Removes chance of Negative potion effects. ---Immunity: Player no longer takes damage from Potion of Harming. -Livingmetal Equipment and Armor: crafted from Livingmetal Ingots. -Special: Repairs durability each time the Player gathers souls with a Keeper or Vessel. -Repair amount: Based on type of soul collected. -Livingmetal Block: crafted from Livingmetal Ingot x 9. -Special: Restores 1/2 heart to any living creature within 2 blocks per 3 seconds. --General: Now residue can spawn over light Snow blocks. 3. New Relic: Soul Hike: Allows player to double jump. 4. New Relic: Soul Loaf: Allows player to hover over Lava/Water for a limited time. 5. New Relic: Dominate: Allows player to Mine control a hostile target. You know... I was thinking about making a Soul Collector type device. Placing it in a graveyard and such... However soul sand might be a good way of doing it. However... 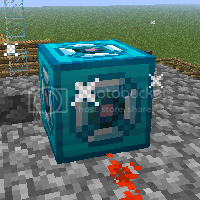 I really don't want create another (Furnace) mod out there lol. Something else I might do for soulsand, is to allow you to place the sand either into the Soul Crucible directly. Say... 10 soulsand for 5 souls. Or place the soulsand in the Soul Altar and transform it into soul/ or directly push the souls back into surround Soul Crucibles. Let me think about it. Thanks for the idea Ora the Owlish!!! Might even go a different route with Soulsand. First Add a new recipe to the Soul Altar. Sand + 5 Souls = Soulsand. Then Soulsand + Furance = "Phantom Glass" or "Spectral Glass". Lastly "Name from above ---^" can be crafted into planes. This could be a new material that can be shared between Asgard Shield and this mod "Hint, the special ability of "Named Glass" will be the same as the Phantom set of Asgard Shield" (Meaning sadly, Phantom Shield and Giant sword will be removed from the ASAddon: Hallowed and placed in the ASAddon HarkenScythe. 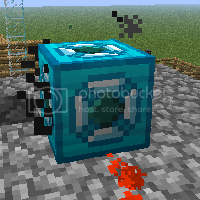 Else the other ideas that are in the works is a way to extract souls from Soulsand with either a new Extractor Block (which would run on Soulkeepers for power), or directly placed into the Soul Crucible to be processed back to raw Souls (Sand will be destroyed). This idea is still being thought up however, not sure if I wish to allow players to collect souls from any other sources besides slaying enemies. I'll place a poll. 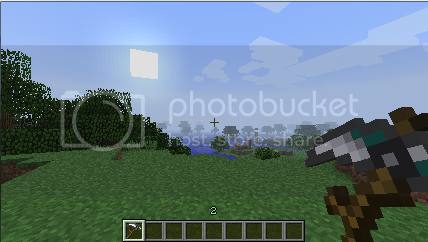 Awesome looking mod, and planning on doing a spotlight for it, but... 1 issue, the textures wont load!Two things. First, cool looking mod, and planning on doing a modspotlight for it, but the textures wont load, and Second, what if souls dropped from soulsand instead of the soulsand, like flint and gravel, with a 10% base chance. Awesome looking mod, and planning on doing a spotlight for it, but... 1 issue, the textures wont load! Two things. First, cool looking mod, and planning on doing a modspotlight for it, but the textures wont load, and Second, what if souls dropped from soulsand instead of the soulsand, like flint and gravel, with a 10% base chance. Hmm, either its a Item.ID conflict on your side with another mod or... not sure @[email protected] lol. Everything that is needed is in the .zip Check Ids. Herm... updated forge, and disabled all mods that weren't neccesary, still your textures are not loading. this is only on the models though. as the raw icons load fine. I am glad you like my idea on the soulsand, I don't mod, but I do give modders idea's! Download link not working for me? Was busying re-uploading the download for SirLagALot here. trying to figure out his problem =/ Link should be functional was we speak. Hey Jade, I think I may have found the issue, but I would like to run the idea by you before I act on it. I use magic launcher to manage my mods, as it is just simpler than having 30 different jars, and it live injects the mod into the jar. The issue might stem from the fact that by this live injection, the config file is never made, and the id's are not assigned, so the textures wont load. Do you think that this is it, and if so, can you have a copy of the config file to download? we can can try that, give me a second to post the config for you. This error has been saved to C:\Users\Dan\AppData\Roaming\.minecraft\crash-reports\crash-2012-10-14_16.01.06-server.txt for your convenience. Please include a copy of this file if you report this crash to anyone. I can verify Scoripo's issue, it also happens to me. Mod is awesome I really love it. Can I be on the media highlight? Hey. 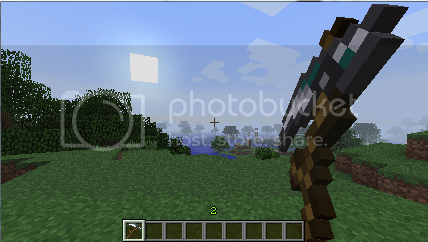 Your mod seems to be really cool, I love the scythe textures and I will definitely download it. I have just one problem. It seems like you would steal ideas from Kirwis and Subarakis Scythe Mod http://www.minecraft...bug-fix-update/ Well, actually I don't think you steal them, but in your case I would especially not do the idea with Soulsand -> Soul, because this is a 1:1 copy from Kirwi and Subaraki. A mod with an uncommon mechanism that rewards monster hunting? Dang, THIS MOD IS AWESOME. And Harken Scythe has been in development for about 2 months. And by no means this mod is based by Kirwis Death Scythe mod, only thing that seems we share is the Recipe lol. I will suggest tho, anyone that hasn't tried Kirwis's Death scythe mod tho, give it a try. 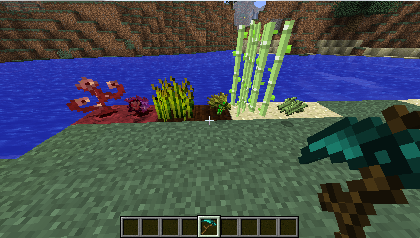 Neat mobs, and creation's. Were you both on a server while playing or just Client? Forge had a few method changes with its newest update. Which swiss cheesed some coding. I'll get to work on this fix tonight. Lastly, thank you for the mod highlights, they will be all posted on the OP tonight aswell. Great reviews. Did someone else make one?